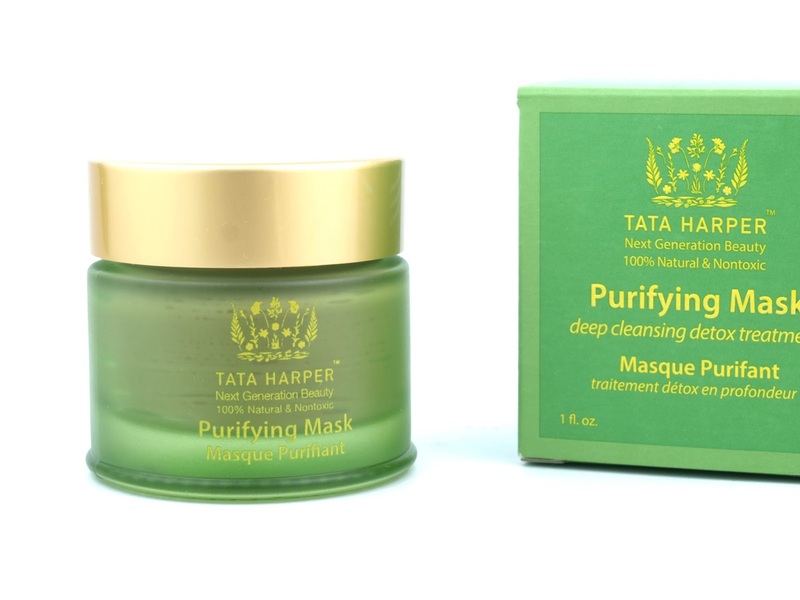 The Tata Harper Purifying Mask comes in a beautiful green glass jar with a gold lid. The packaging is super simple but very elegant at the same time. The jar holds 30ml of product, which isn't a lot. For reference, the similarly priced, full-sized Fresh masks come with 100ml of product. I know Tata Harper utilizes concentrated formulation but with the instruction suggesting a thick application, I just can't see myself getting more than six uses out of this jar. As much as I love the beautiful packaging, I did wish that the jar had a wider and flatter design. Unless you are using a brush to apply the mask, it actually gets quite messy when dipping your fingers into the jar to get enough product. With a kaolin clay base, the Purifying Mask promises to deeply cleanse and detoxify the skin. Its two key ingredients include the addition of yogurt-derived bacteria extract and cold-pressed prickly pear oil. The bacteria extract is meant to dissolve surface build-up on the skin while the prickly pear oil is packed with antioxidant vitamin E that minimizes the negative effects of environmental pollution. Additionally, the mask is just jam packed with various natural or organic extracts and oils. Aloe juice, willow bark extract, papain (papaya enzyme), and calendula extract are just a few examples. The mask has a medium, not too thick texture and it spreads nicely across the skin. The gingery citrus scent is really lovely and invigorating and the mask feels quite tingly on the skin. After leaving it on for 10 to 20 minutes, the mask partially sets and dries, but it washes off pretty easily, as long as you use a face cloth or sponge to help wipe away the excess. The mask leaves the skin feeling super soft and refreshed. Even though the formulation felt really tingly and potent on the skin, the mask leaves behind no signs of redness or sensitivity. 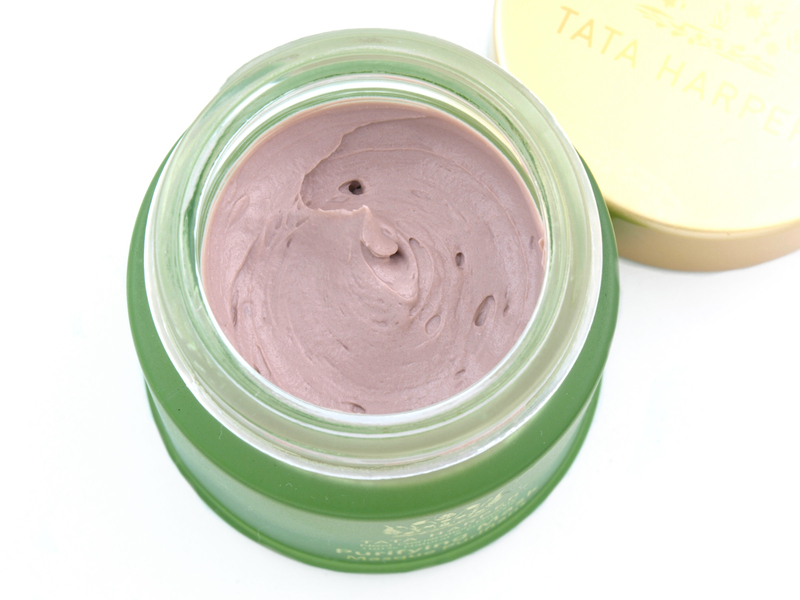 In terms of texture and how it feels on the skin, the Tata Harper Purifying Mask actually reminds me a bit of Rosy Cheeks from Lush, although the Tata Harper formulation definition feels lighter and less intense. So overall I really enjoyed this mask! Even though it's more geared towards aging skin, it really makes a great weekly mask for anyone looking for a deep cleansing and gentle (non-physical) exfoliation. Tata Harper is available online at Tata Harper, and online and in stores at Sephora. Currently, the Purifying Mask is not yet available in Canada.